FoBB has conceived a cunning plan to create walks that are marked by sign-posts and information boards around the stream system that feeds Bradford Beck. The first plaque marking the Beck’s route below the city centre. Already, we have the beautiful Plaques Trail which takes you across the city centre, following the course of Bradford Beck flowing beneath our feet. The first plaque is on the hoarding outside the former Odeon cinema on Thornton Road. To follow the trail, click here scroll down the page to find where the next plaque is. We’re working on sign-posts around the Bradford Beck and its tributaries to raise awareness and understanding of our watercourses. One project encourages urban archeological exploration around Goitside. That’s the area behind TJ Hughes and hunting for the medieval channel is fun and rewarding when you find it! These are easy to achieve projects with relatively modest costs but which are important in changing attitudes. It would increase the profile of the Becks and generate more interest in improving them. 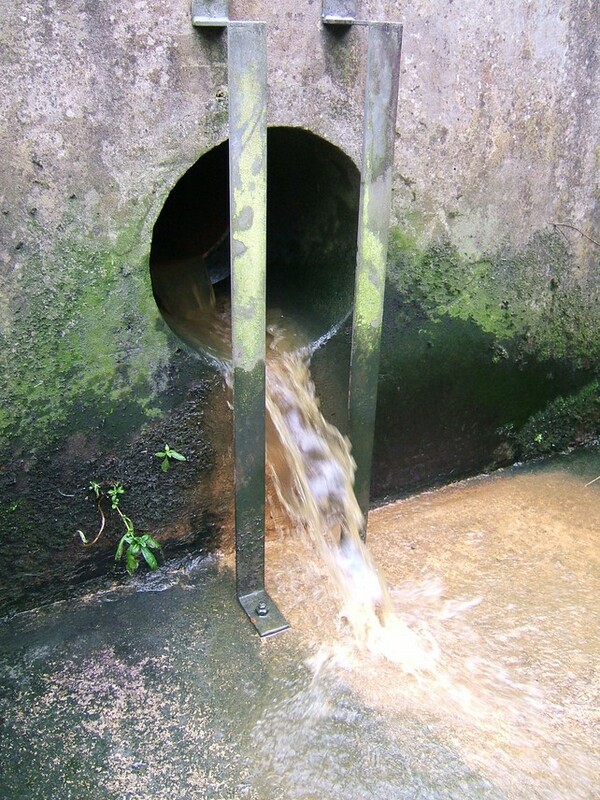 It would raise water awareness, and encourage more care, less litter and better reporting of problems. 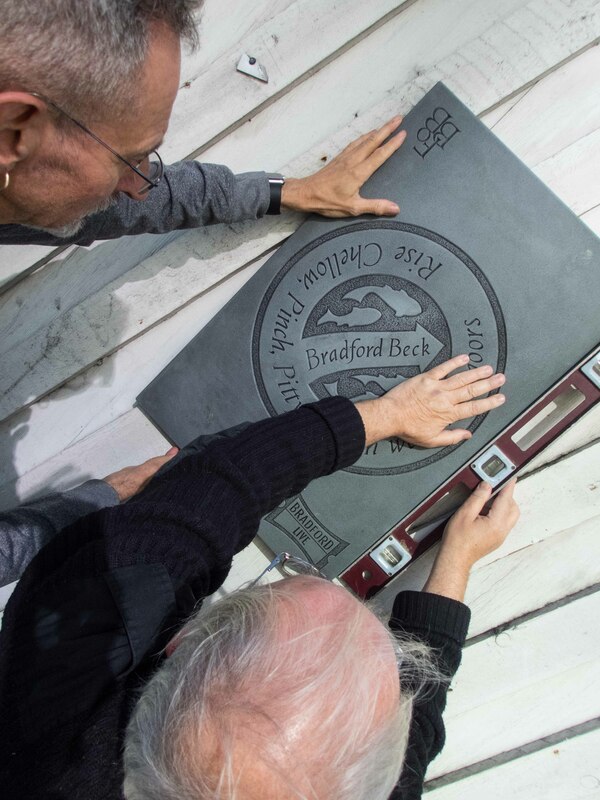 Bradford Council (Parks and Gardens, Neighbourhood Coordinators), local landowners, Aire Rivers Trust, Friends of Bradford Beck, and local companies have sponsored the Plaques Trail. Also thanks to Legal and General for letting us use Sunwin House shop windows. The markingbradfordbeck.org website was created over a couple of months for a nominal cost. Negotiating with landowners, designing, making and placing signs can take many months – even years. More signs are envisaged, bearing names of streams, information and encouragement to get involved. A further 50 signs would enable most tributaries, bridges, culverts and paths to be marked. Basic signs (20×20 cm) are about £75 but larger or more interesting signs range up to £500 and beyond. The cost of installation would be variable depending on the location but given funding streams, we are currently working with a £5,000 budget which is great to continue our work and we have identified some key targets. Set up a Steering Group and plan project. Done. Info board on Aire Valley Greenway: ongoing. Goit display in Sunwin House: on with it. Goit page on website or seperate website: ongoing. Signs marking key footpaths: on with it. Stream names on bridges: on with it. Leaflets to advertise the Plaques Trail and possibly Goitside exploration: on with it. Look out for more news!